The Euro (EUR) is holding steady against the US Dollar (USD) today despite some better-than expected jobs figures from the US. The US Dollar had experienced a boost after yesterday’s European session when the latest minutes from the Federal Reserve’s September policy meeting revealed a unanimously hawkish tone from members of the board which sets interest rates. Not only had every member voted in favour of hiking US rates last month, but there were also indications from several members that the pace of rate hikes should quicken over the next year. 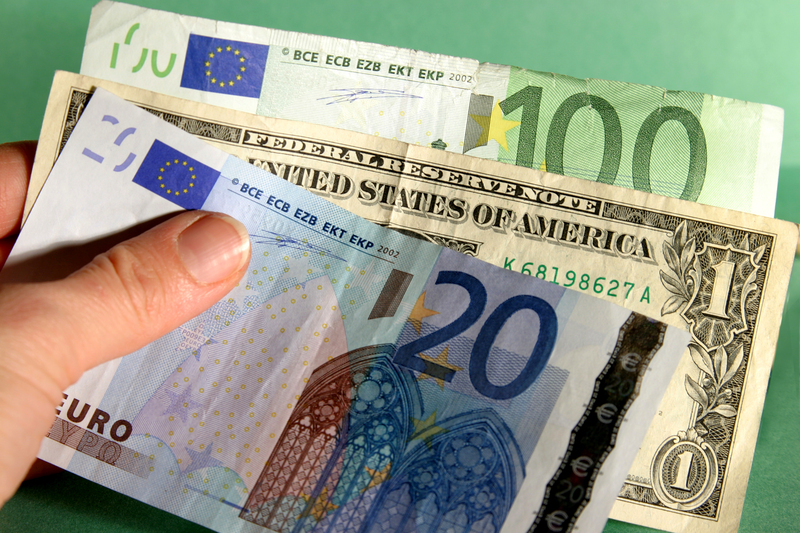 This sent the US Dollar sharply higher against the majors, including the Euro. Today, USD found support from some upbeat employment statistics in the form of continuing jobless claims, which dropped to 1.64m against expectations of a rise to 1.665m. The Euro (EUR) seems to be stuck against the US Dollar (USD) as a lack of any noteworthy Eurozone data keeps traders focused on political concerns, not least of which is the Italian budget situation. ‘I’m aware this is not the budget the Commission expected. I expect critical observations. We will discuss and we will reply to these considerations,’ he stated. In addition to the sense of crisis the Italian budget is causing among EU leaders, there is the added danger that Italy’s sovereign debt may face a downgrade if it passes its budget. Two of the biggest credit ratings agencies, Moody’s and Standard and Poor’s, are due to review Italy’s credit rating later this month, with any downgrade likely to have serious repercussions in the bond market, forcing the European Central Bank to intervene again in Italy’s financial affairs. Three Federal Reserve policymakers are due to speak over today and tomorrow, with any one of them able to drive the US Dollar (USD) higher against the Euro (EUR) with their comments. First up is Randal Quarles, Vice Chair of the Federal Reserve Board of Governors. Quarles is giving a speech at the Economic Club of New York, and is known for being hawkish. Tomorrow will see the President of the Federal Reserve Bank of Dallas Robert Kaplan give a speech, followed later by another given by Raphael Bostic, of the Federal Reserve Bank of Atlanta. Given the recent release of minutes from the Fed it may not matter too much to investors whether any of these speakers sounds hawkish or dovish as it is now clear that the central bank intends to stick to its gradual path of interest rate hikes, whatever President Trump may think of this decision. Aside from these speeches the only data releases of note relating to the US Dollar are tomorrow’s existing home sales for September, as well as the later Baker Hughes oil rig count. Neither of these data sets is considered ‘high impact’ so it may be left to politically-driven market sentiment to give direction to the EUR/USD exchange rate for the rest of the week.